You invested in a water filtration system to ensure that you can easily get clean, safe and healthy water for your whole family at home. You can rely on your water filters for quick and easy drinking water when you’re in a rush, and it has become part of your daily routine. However, without regular and proper maintenance, your filtration system can become less effective at removing contaminants from your water, leaving a less pleasant taste in the liquid you drink every day. It is quick and easy to get in the habit of cleaning and maintaining your water filter system on a regular basis, which will help to enhance the effective and efficient performance, making it last longer. Consider trying some of these hints and tips to improve the lifespan of your filtration system before calling a Fort Worth plumber. Cleaning the inside of your water filter system frequently and thoroughly is important to avoid a build-up of minerals, contaminants or dirt in the filter. Try not to use any harsh cleaning products and gently rinse the system with warm water. You do not want to add any harmful toxins to your system that could be absorbed into the water that you and your family drink. Make sure to clean all elements of the system, preferably on a weekly basis. Ensure you sanitize the different parts of the system when cleaning your water filter, including the water dispenser, line, and cap assembly. The water softener that you use may contribute to a build-up of salt in your water filter, meaning you will need to clean your system more often. Newer water softeners are efficient in how salt is used in the water, causing the excess to sometimes form a blockage within the system. When cleaning out your water filter, simply switch off the system, remove the majority of the salt and use hot water to dissolve the blockage. Remember to monitor your water filter whenever you use it, looking out for signs that it may need cleaning. 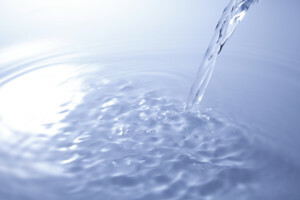 There is often also a monitoring system on your water filter, which can differ depending on the brand or type you have. The control unit displayed on your filtration system will show you when the filter needs changing. This may be indicated by a daily status on the system itself or the changing colors of a read out. You can maintain your filtration system by regularly changing the filter, which, if left for too long, can become clogged. Note down the date you last changed the filter cartridge and follow the guidelines provided for that particular cartridge type and your individual system regarding how long this should last. The lifespan of a water filter cartridge can be measured in both months and gallons and will have a specific expiration date. When changing the filter cartridge of your filtration system, remember to assess the condition of the O-rings, ensuring there are no leaks or drips originating from this area. Some systems have specific maintenance requirements, such as the reverse osmosis filtration systems. With particular types of water filters, it is important to pay close attention to the guidelines provided, as some cleaning products can damage the system. Like all household appliances, your water filtration system has a suggested lifespan, after which it will eventually need replacing. You may experience problems that can be easily remedied with a regular maintenance routine, but continuing to use an old water filter can result in contaminated drinking water and an inefficient system. A good maintenance routine will improve the lifespan of your filtration system, for cleaner, better tasting and healthier drinking water for you and your family. Need a New Water Filter for your Home, call Lightfoot Mechanical. We service Weatherford, Burleson, Granbury, Aledo and Fort Worth, Texas.